Painted live at the 5th Anniversary of the BBAD, Boynton Beach Art District. Miami Artist, Trails1 / Jonathan M. Fields, received his name listed in the press with the Sun-Sentinel and Broward Palm Beach New Times. This is the 3rd Street Art Mural the Miami artist has painted in this South Florida location pre Miami Art Basel season where he usually displays in different Wynwood Gallery locations and performs live street art painting exhibitions. Flyer and press links and articles are listed below. Link to Sun-Sentinel News Article about the event. Link to New Times Article about the event. 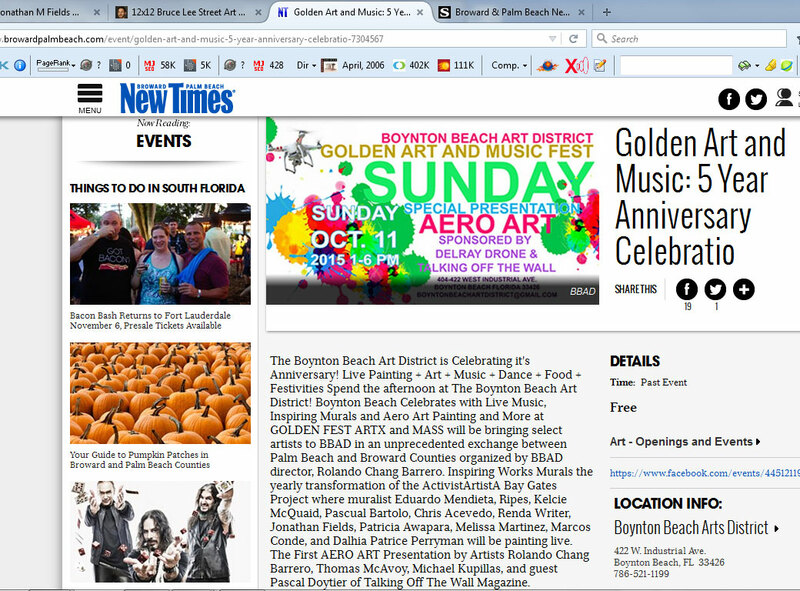 Link to ActavistArtista Gallery & Boynton Beach Art District info about the event. This event was fantastic overall and featured one of a kind drone aero-art performance. 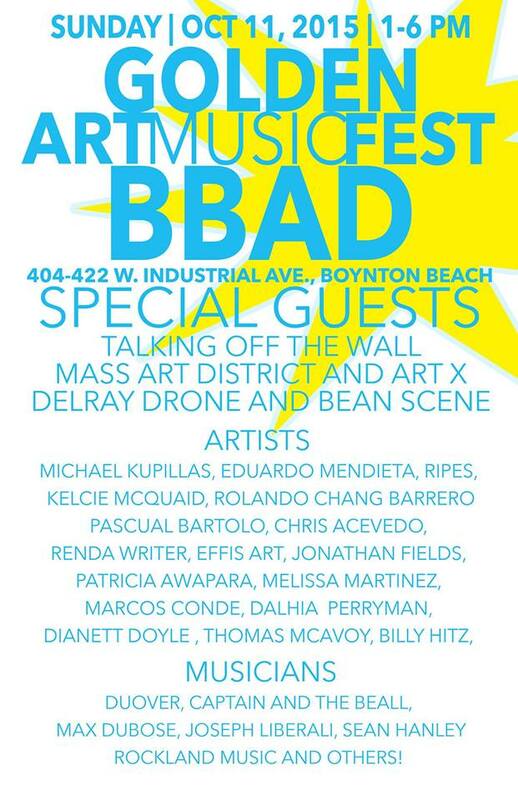 Basically, live painting with a drone, a bunch of bands, live music, poetry, open art galleries, food trucks, vendors and 12 artists painting live street art murals in South Florida. It’s not Wynwood, but the West Palm Beach Art Scene can definitely hold its own. Big ups to Roland Chang Barrero for creating the district and everything hes done for the community and the arts in West Palm Beach, FL. This man has literally built the whole district from scratch and has helped countless numbers of South Florida Artists. 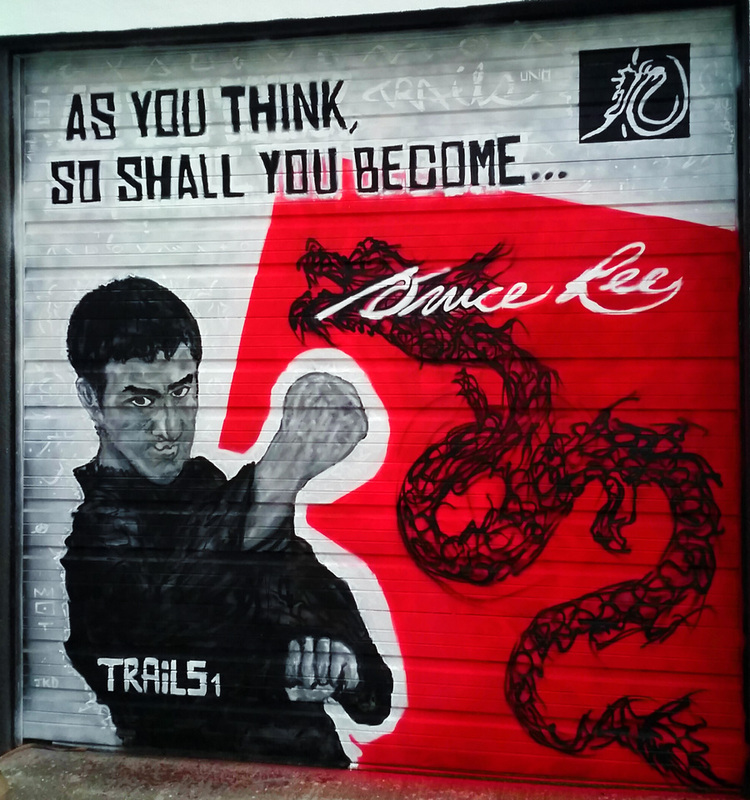 Over the last 4 years, Miami Street Artist Trails1 has had his graffiti murals from the Boynton Beach Art District receive media attention in various newspapers, magazines, online blogs and television segments. It has also been the backdrop to all the live event and music as his last two murals were featured at the entrance to the South Florida Art District.